My very first budgeting tool was MS Excel. It was a really convenient solution 12 years ago. I created my budget items and planned my expenses per month. Every evening I put some numbers in this document. These actions helped me to understand my expending performance. Using this information, I could improve it and save money for my big goals. Basically, with that spreadsheet, I started to understand my financial behavior and work with it. Now everything has changed. Mobile applications help us to be more effective during day and night. You can almost rule the world with a small device. But what about budgeting tools? There are a lot of applications that can help with your finance management. I have tried more than 10 different applications already. But they don’t fully cover my needs and solve budget management problems. I have been working as a product owner of Mobile and Web applications for the last 2,5 years. Still, as an ordinary user, I face none application fits my needs. I begin constructing the application to solve my pains. Anyway, in this article, I’ll think out loud about my budgeting application. Let me title the app — My Budgeting application. My first step in developing the application is to understand the customers. I consider the key here is the financial behavior of the people. There exist two main categories of people: savers and spenders. Money behavior patterns are typically unconscious. Their roots come from childhood. Moreover, these patterns are passed through the generations, within families, and cultures. Everything mentioned above influences the users’ brain. That’s why I appealed to some neurobiology discoveries when designing my application. Basically, this approach I use all the time in my projects. Spenders and savers have a common need to put their money in the order, but they address different issues. Savers need to control their spendings even for indispensable items. They can neglect to buy products, pay insurance or taxes on time. Spenders need to control their budget overrun for unnecessary things. It is hard for them to control inner compulsive shopaholic. I would rather keep my future budgeting application valuable for both categories. I want to have a questionnaire that can help a user to define the pattern of money behavior. This one is really easy, and a user can have a lot of fun. I will let users configure the app. Budget details must be customizable. The user must be able to name fields, set the maximal limit. As a product owner, I would like to have 3 different sections for money management — income, outcome, and savings. The last one is optional but highly recommended. A bit of neurobiology: People’s brain tends to systematize everything because arranged data helps to increase productivity. Here we need to lead the user in the envelope budgeting. It is the system of dividing expenses into categories with limits. Previously people were using envelopes to keep and maintain the money for different goals. People are driven by goals, often unconsciously. That is why the user must be able to set a goal in the app. Settings may include adding an image, name (or even a small description), price, and time for reaching the goal. The rule of thumb here is — use SMART goals. SMART is an acronym of Specific, Measurable, Assignable, Realistic, and Time-related. The application knows users budget boundaries for income and outcome. So the user must be able to add to a goal — picture(s), name (even a small description), price, time for reaching the goal. The application knows users budget boundaries for income and outcome. It means that it can automatically calculate user goals feasibility. One more important action here may be the prioritization of the goals. I prefer to use the Eisenhower Matrix. It clearly shows the relations between important and urgent goals. Designing the application, I need to keep in mind a plastic. Cards may be a real black hole for budgeting. A credit card helps to spend more without any control. Actually, it dissolves the understanding of the real amount of the money a person has at the moment. According to the analytics, in 2017 every typical American has 3.1 credit cards with $6,354 on each average. In my Budgeting application, I would like to help users. The application may automatically classify the users’ expenses from credit/debit cards. It may add them to the relevant category. Also, we may track the geo-position of the user. We’ll know that he/she visited shops, malls, entertainment places, gas stations, restaurants or some places like this. We can remind the user to write down the spendings. The implementation of such a feature is easy-peasy. It requires some permissions. The user must allow the use of GPS tracking and push notifications. I would explain the user the profitability of these features during the onboarding process. The goal of tracking user’s location is to turn expenses monitoring into a habit. This is extremely important at the beginning of the application usage. Generally, I need for myself this feature to improve my financial behavior. A bit of neurobiology: Human brain is rather lazy. It tends to automate the processes. The brain wants to free resources up for the conscious mind and more creative purposes. So we can teach a user’s brain to control everyday spendings via an application shortly. With the systematic approach, the app receives data regularly and may analyze user’s behavior. Data science and machine learning are doing a big step forward in solving this issue. People overload their minds by solving thousands of issues in a minute. They need help with processing the results of budgeting. The app may free some brain resources. It is essential for users to make correct conclusions. Now I’m speaking not only about controlling on track/off track the goals pursuit. Artificial intelligence can help to understand the financial behavior type. It reveals the points or activities for improvements, suggests better ways of spendings. With the world of data science and big data, I can make the user more clever every month. I can even create personal improvement programs for users with the help of AI. At the moment the user doesn’t need to be a neurobiologist or the visit coach sessions. With AI and ML they can know the results. A human brain is usually bad in the perception of numbers. We can see them but don’t understand them in a correct way. In my application, I would like to help the user to see data clearly. I want to have charts at the monitoring screen. They can easily explain the user the core of everyday activities during some period of time. One more thing to visualize in the app — established goals. Visual elements may display the progress, provide positive feedback, and encourage the user to continue. A bit of neurobiology: At this point, the application concept crosses with one of the Neuro-Linguistic Programming presuppositions. The main is “The map is not the territory”. People realize the world internally, through the personality. They create their own personal or subjective realities, not to the objective reality itself. The goal of the visualization is to show the user the facts. We can’t help the user to improve financial management until the user accepts the problems. Charts may help. Really useful article about charts design you can find here. Here we need to adopt the experience of health applications. They really know how to motivate. Every day reports, motivational comparisons… The AI can help me with the stuff as well. The main thing here is to understand the data you have and use it for users’ benefits. As a user, I would like to get reminders of my goals. For example, “30% of the goal is accomplished”. A motivational comparison may be something like this — “60% of the people reach the goal from the first time”. We definitely need to add reminders to encourage users to record their expenses. It is going to be similar to this — “Hey, I haven’t seen you for a few days. Please, be sure that all your spendings are on track”. Users’ life is complicated. They need reminders to review their goals/plans for the month — “Hey, the new month is coming! Please, check your budget”. People may have common goals. Another person can motivate the user much more effectively than any application. People are social beings, and we need to reflect this in apps. My application must provide a feature of sharing the goal with another user of the application. As a product owner, I know about the people’s tendency to mimicry and mirror neurons. An input from neurobiology: There are groups of neurons. They become active when we perceive the behavior of another person. These neurons activate the same areas of the premotor cortex that are active when we ourselves behave the same way. Our behavior can be unconsciously affected by the perception of others’ behavior. We subconsciously assimilate the traits and stereotypes of others, and we represent somebody’s else behaviors as ours. In our case, if we have a Spender with a Saver as a goal partner, the Spender can start copying the Saver’s behavior. Such imitations can help to improve the style of users financial management. I know a lot of complicated words and can understand financial terms. Yet, for my Budgeting application, I want to have a simple human language. It is not a budgeting application for the financial management of an enterprise. My core audience is ordinary people who don’t want to search terms in Wikipedia to work with the application. Everything must be clear to the user. I’ve heard that young people prefer to go to a dentist then do budgeting. It is funny but true. That’s why my application must be simple and with light and simple design. When people see too dark colors with wordy texts, they don’t want to work with such an application at all. My design must be bright and clear. The user feels that financial management is easy too. Financial management is an essential skill for a successful person in modern life. We need to understand money flows and handle them. The idea of an educational financial application captures my mind for a long period of time. I consider such an app can be useful for everybody. My Budgeting application stays on the edge of management, neurobiology, and AI. Only if we combine these three sciences in one app, we can help people to improve themselves. It is an ambitious and great goal. By the way, the application can be used by children too. I pay special attention to the security of users’ data. AI, ML, and neural networks require a great input of the real records to correct models and receive the most precise results. I work in Dashdevs software company now. Here is the breeding ground for ideas like this. We want our applications to serve for the betterment of all. I plan to create my budgeting application that can totally fit me. 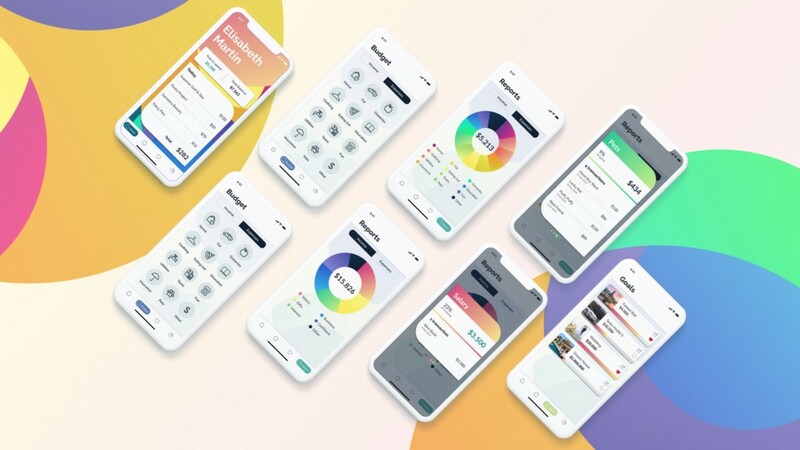 Creating My Budgeting App was originally published in UX Planet on Medium, where people are continuing the conversation by highlighting and responding to this story.